Have you had a chance to try the NEW Cheese Board products by Tillamook? Now is the perfect time to get your snack on without shelling out a lot of cash. Head over to Safeway grocery stores and scoop up a Tillamook Cheese Board for $2.49. 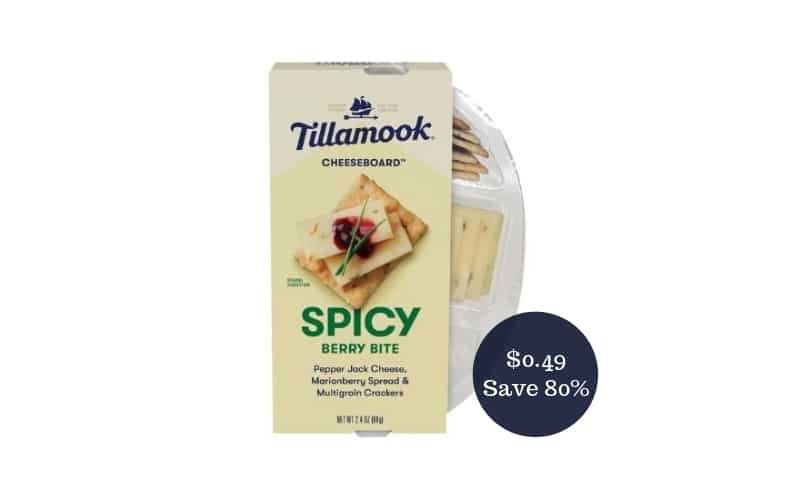 Before you shop, make sure to download the $2/1 Tillamook Cheese Board Just for U digital coupon available through April 16th and then use your Safeway card at the register. This will drop your final price down to only $0.49 after the HOT deal. That’s a whopping savings of 80%! 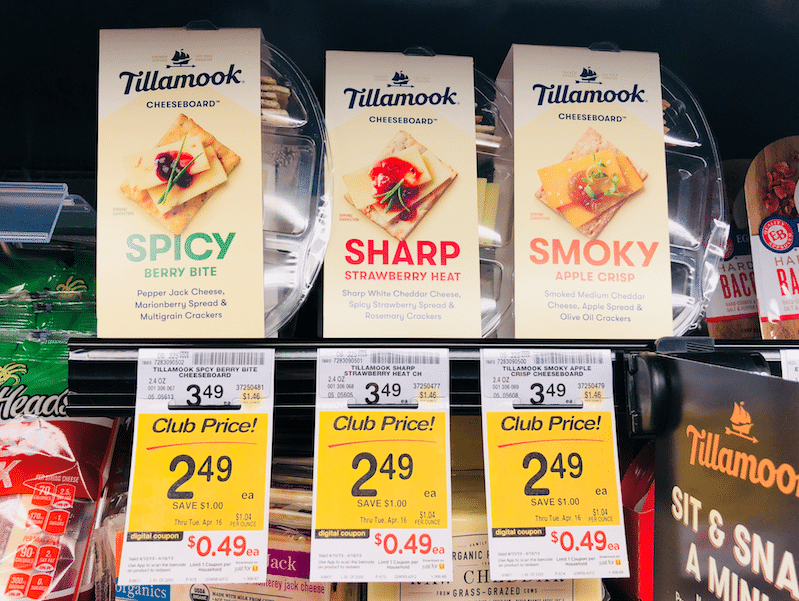 A craveable combination of Tillamook cheese, olive oil crackers and artisanal fruit spreads, Cheeseboards are Tillamook’s solution to a premium snack for the busy individual to savor. Final price = $0.49, save $2 – that’s 80%!